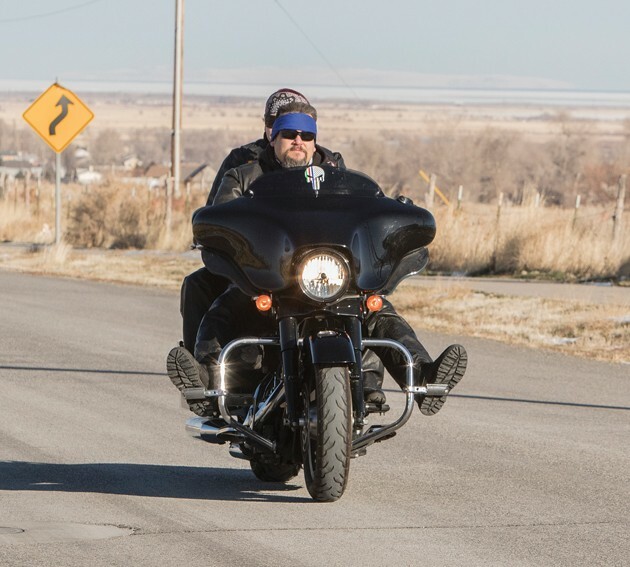 Grantsville’s Patty and Adam Drochner stand in front of their motorcycle with the Stansbury Mountains in the background. The couple prepare to take a ride on their Harley Davidson. The pair rides for a club that honors service men and women including veterans and police officers. The back of Adam Drochner’s motorcycle jacket includes an Immortal Knights insignia. Patty Drochner shows off the front of her motorcycle jacket. 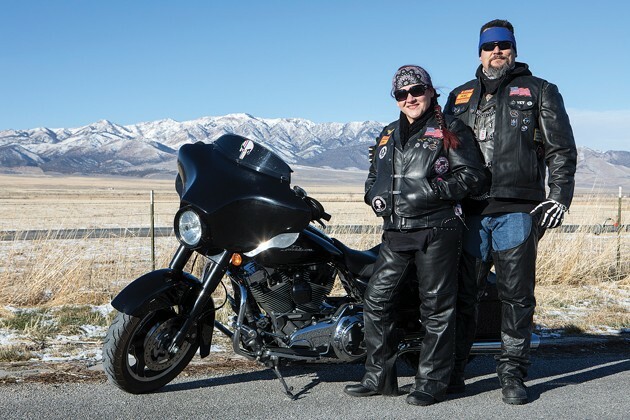 Adam and Patty Drochner ride on their Harley Davidson in Grantsville. Realtor Patty Bullock-Drochner learned about a local bike club for professionals when she met with a client to sell his home. Soon afterward, both she and her husband joined the Immortal Knights Public Safety Motorcycle Club. 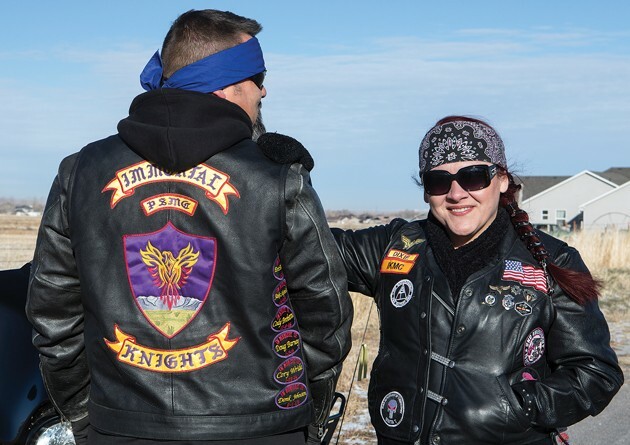 Unlike some other motorcycle clubs or gangs, the Immortal Knights ride for a noble cause — for fallen servicemen and women such as veterans and police officers. Patty Bullock-Drochner, of Grantsville, explained that the club’s members are mostly first responders. She and her husband, Adam Drochner, became prospective members six years ago. Adam, who is a test officer for the Department of Defense at Dugway Proving Ground, said the group isn’t about being big, bad and tough. Instead, it organizes rides and fundraisers to give money to families of the fallen. The families of fallen officers and veterans usually receive death benefits, but Patty said many families don’t receive that money until months later. Meanwhile, the families’ bills wait to be paid. “They’re the nicest group I’ve ever met,” Patty said about the club. Because club members can ride only a certain number of times during good weather, they created the “End of Watch” Fundraiser for the off-season. 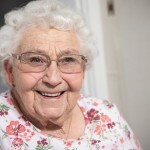 Through the website ikpsmc.com, people can donate to help widows, widowers and their families. The need is especially great during the holiday season, when it’s too cold to ride. The club began in December 2011 with only eight founders. Today, riders can number in the thousands. It is a registered 501c3 non-profit organization. 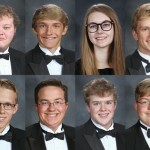 Club members came up with the club’s name for several reasons. According to the club’s website, members attribute the servicemen and women with giving everything to the public, qualifying them as knights. They also want to immortalize fallen servicemen and women. Adam said he started riding in 2011. Patty said she doesn’t drive, but loves being a passenger on their Harley Davidson. The couple said the motorcycle gives them more freedom to see everything around them, unlike from being inside a car. “The back of a Harley is different. It’s comfy,” Patty said. 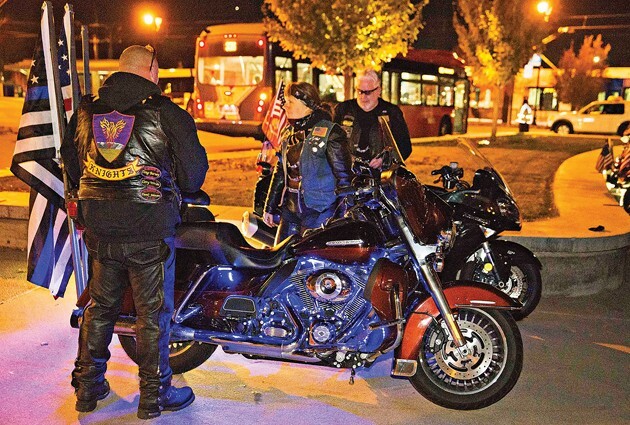 Besides riding for fallen service men and women, the Immortal Knights ride for other organizations that help servicemen and women, like the Fisher House and Blue Haven. Blue Haven is a group founded by Nannette Wride, widow of Utah County Sheriff Sergeant Cory Wride. Immortal Knights works to get bulletproof windshields into service vehicles, something that may have saved Wride’s husband’s life. The Fisher House Foundation provides a network of comfort homes for military and families of veterans to stay for no cost while a family member is receiving medical treatment. These homes are usually located at major military and VA medical centers worldwide. Of every donation to Immortal Knights, 100 percent goes to those in need. Members pay a monthly membership fee and group members continually donate money to help families. Overall, Immortal Knights has raised and donated over $25,000 through fundraisers and rides. Often the group seeks monetary and donated items for raffles from local businesses. “Soliciting isn’t easy. Companies get hundreds of requests to help,” Adam said. Recently, the club has found more success fundraising on social media. The Drochners say they have solicited more help, publicity, and have received more donations and gifts for raffles through this resource. The Drochner’s favorite ride, the Fallen Officer Ride, usually takes place sometime during August and involves over 5,000 riders. “It’s like a parade route. People come out of their homes and wave flags, cheering,” Patty said. The typical format for the ride starts in Springville and ends where the fallen service man or woman lived. The bikers arrive and the group sets up the order for the riders. Widows ride first and everyone follows them. Adam, with Patty on the back of the Harley, gets to ride up near the widows. Adam is the Sergeant in Arms and Patty is secretary. 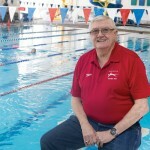 President of the club is Randy Patton. The Drochners admit the club isn’t for everyone, but it is more inclusive than many other motorcycle clubs. The Immortal Knights even let children become members. Both adults and children have to qualify to join. The group conducts background checks before admitting anyone into the club. Children have to maintain good grades and avoid trouble at school. However, the widows and widowers the club helps become honorary members. Not only do riders represent the Immortal Knights, they represent those whose names are on the patches the members added to their leather jackets with each ride. The patches display the names of officers and service men and women, along with their death dates. Patty said she never thought she would join a motorcycle club, but she likes that Immortal Knights is different. “It’s a brotherhood, really,” she said. One event the Drochners attended was a hockey game for Jack (Jacob) Barney. His father, Doug Barney, was a Unified Police officer who was killed while responding to a traffic accident. Many fellow officers showed up to support their fallen co-worker’s son. After the game, Patty said club members explained to the fellow officers and fans why Immortal Knights was there — to assist and support Doug Barney’s family. Other fallen officers the club has helped include West Valley City Police Officer Cody Brotherson and air paramedic Jake (Jacob) Shepherd. The club lists the names of those they have honored in past rides on Immortal Knight’s website. That list also includes K-9s who have fallen in the line of duty. “There’s so many, we’re losing track,” Patty said. Patty said the End of Watch Fundraiser is very important to Immortal Knights because the club can’t always hold rides to raise money. Community members who wish to donate to help emergency professionals’ families, who need help now, do not have to wait until another ride during warmer weather with this fundraiser. Donating is easy on the club’s website. Just click on the “Donate Here” tab and pay with a PayPal account. For more information, the club also provides information about Immortal Knights on the club’s Twitter account and Facebook page. 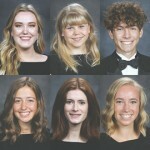 Being a member of the Immortal Knights has been life- changing for the Drochners. It is about more than riding a Harley with a group of friends, they said. It is about helping those in need. “You can’t describe putting a smile on their face,” Adam said. The Immortal Knights’ next ride is scheduled for June 10, 2018, and 100 percent of the proceeds go to Blue Haven Foundation. The ride begins in Springville. “If you can go, go,” Patty said.